Kelly Martinez describes four ways in which Calvinism differs from Lutheranism. Note to Ms. Martinez: do some research on a topic before writing an article. I think you confused the two in a couple of paragraphs, and the tenets of both are a bit more complex than the descriptions you provide. Calvinist Batman tweets: "Can Jesus be kicked out of the Trinity? If you've been united with Christ, why do you think that God would throw you out of the family?" The Pastor with No Answers welcomes as guests Chris Date from the Rethinking Hell Podcast and Leighton Flowers of Soteriology 101. Makes sense. Jon Bloom of Desiring God discusses how to have intimacy with God. Are you up to a reading challenge? Perhaps you can keep pace with Tim Challies. He has already read 11 books so far this year. Yeah, I'm a bit behind. Isaiah 5:4 turned out to be the stumbling block that caused one forum member to turn away from Calvinism. But if you can prove to him, using Isaiah 5 alone, that this passage does indeed teach determinism, he's willing to reconsider his position. I'm reminded of a quote from Jonathan Swift: "It is useless to attempt to reason a man out of a thing he was never reasoned into." In short, for Israel to be hardened, God need only let them be their natural selves. He doesn't have to override their free will and force them to reject him. Now, this sound suspiciously like election, except that God never forces anyone to accept him. If we don't really choose God, then our love isn't real. For us to truly love God, we must be free not to love God. And so some of us will inevitably make the foolish choice to reject God. There isn't a Calvinist I know who would say that those who have had their heart of stone replaced by a heart of flesh (Ezekiel 36:26) don't really choose God. Why do so many evangelicals support Donald Trump? Adele M. Stan puts the blame on "Calvinism's veneration of the rich and damnation of the poor." Trump is a billionaire, so he is obviously one of God's elect. Yeah, that's exactly how Calvinists think. I worship and service God because, in the inimitable lyrics of my colleague Terry York he is "worthy of worship, worthy of praise." I do look forward to the joy that comes from worshiping and serving God, but that is no part of my motive. Remember, this is the same Roger Olson who once admitted that he would not worship God if it were proven that Calvinism is true, since "[s]uch a God would be a moral monster." Tim Challies discusses eight ways to grow in the fear of God. 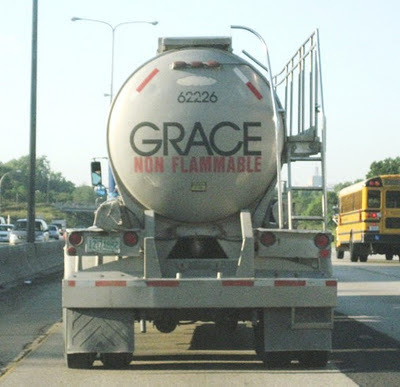 There can be times when it isn't a good idea to try to convince someone of the doctrines of grace. Will Graham writes, "We are brothers and sisters in Christ—whether we be Calvinists or Arminians—so, as we continue preaching the Word of God together, let us love one another, serve one another and glorify our great God and Saviour together with all of our strength." Why does Satan exist? For Christ's glory and our joy. Tim Challies presents amazing one-star reviews of great books, such as The Holiness of God and the ESV Study Bible. Rich Pierce reviews James White's debate with Leighton Flowers on Romans 9. God of Calvinism = god of Islam? Seriously? Arminian Daily Affirmation, courtesy of Stuart Smalley. Biblical predestination: Double or single? According to S. Sweitzer at NewsMax, here are five denominations that follow Calvinism. I was surprised to see the United Church of Christ listed, but, then again, I know very little about the UCC. Dr. David Anders discusses a verse he found difficult to deal with when he was a Calvinist. One theology forum poster wants to make it clear that he is not an "Arminianist," while also making it clear that Calvinists are heretics that preach a "powerless gospel." 12 promises for perseverance in Bible-reading.